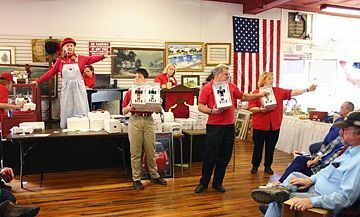 An auction is the process of buying and selling things by offering them up for bid, taking bids, and then selling the item to the highest bidder. In economic theory, an auction is a method for determining the value of a commodity that has an undetermined or variable price. In reserve auctions, there is a minimum bid or "reserve price”; if the bidding does not reach the minimum, there is no sale (but the person who puts the item up for auction may still owe a fee to the auctioneer or auction company). In absolute or no reserve auctions, the sale is guaranteed, with only the price left to be determined. In the context of auctions, a bid is an offered price. Major auction houses include Christie's, Sotheby's, Lyon & Turnbull, and Bonhams. Online auction sites have also become very popular since the development of internet technology. The generally accepted first auction occurred in Babylon in 500 B.C.E. according to ancient Greek scribes. During this period, auctions were held annually, and women were sold on the condition of marriage. It was considered illegal to allow a daughter to be sold outside the auction method. Women with “beauty” engendered higher bidding, while women without “beauty” had to pay a dowry to be accepted into the auction, and thus the price would be negative. In the Roman Empire, following military victory, Roman soldiers would often spear the ground to mark the location of spoils in which goods and property were seized. Roman business agents were said to have accompanied warriors into battle to help facilitate expected sales. The Romans also used the auction to liquidate their own property. For example, Marcus Aurelius is said to have auctioned off prized heirlooms and furniture (an auction that, as legend has it, lasted over two months). The most outstanding auction occurred in the year 193 C.E. when the entire Roman Empire was put on the auction block by the Praetorian Guard (a special force of bodyguards used by the Roman Emperors). On March 23, the Praetorian Guard first killed Pertinax the emperor, and then announced that the highest bidder could claim the entire empire. Didius Julianus outbid everyone for the price of 6,250 drachmas per guard, an act that initiated a brief civil war. Didius was then beheaded two months later when Septimus Severus conquered Rome. The global chattel slave trade was also conducted via auction. Auctions were held in major port cities that imported slaves from around the world (mainly Africa). These slaves were sold at auction both to wholesalers and to individuals. Prices were based on the perceived physical fitness, age, gender, and skills of the slaves. During the seventeenth century and emerging soon after the French Revolution, auctions came to be held in taverns and coffeehouses to sell art. Such auctions were held daily, and catalogs were printed to announce available items. Large auction houses such as Christie's and Sotheby's arose in the mid-1700s and provided an organized forum for the buying and selling of disparate goods at auction. 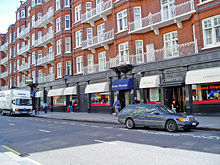 Sotheby's was founded in 1744 in England and Christie's was founded in 1766. The two took advantage of London's status at that time as the economic center of the modern world. Auctions are publicly and privately seen in several contexts and almost anything can be sold at auction. Some typical auction arenas include the following: the antique business, where besides being an opportunity for trade they also serve as social occasions and entertainment; in the sale of collectibles such as stamps, coins, classic cars, fine art, and luxury real estate; the wine auction business, where serious collectors can gain access to rare bottles and mature vintages, not typically available through retail channels; in the sale of all types of real property including residential and commercial real estate, farms, vacant lots, and land; for the sale of secondhand goods of all kinds, particularly house clearances and online auctions; in commodities auctions, like the fish wholesale auctions; in thoroughbred horseracing, where yearling horses are commonly auctioned off; and in legal contexts where forced auctions occur, as when one's farm or house is sold at auction on the courthouse steps. Although less publicly visible, the most economically important auctions are the commodities auctions in which the bidders are businesses even up to corporation level. Examples of this type of auction include: sales of businesses; spectrum auctions, in which companies purchase licenses to use portions of the electromagnetic spectrum for communications (for cell phone networks, for example); timber auctions, in which companies purchase licenses to log on government land; electricity auctions, in which large-scale generators and consumers of electricity bid on generating contracts; environmental auctions, in which companies bid for licenses to avoid being required to decrease their environmental impact; and debt auctions, in which governments sell debt instruments, such as bonds, to investors. The auction is usually sealed and the uniform price paid by the investors is typically the best non-winning bid. In most cases, investors can also place so called "non-competitive bids" that indicate an interest to purchase the debt instrument at the resulting price, whatever it may be; and automobile auctions, in which car dealers purchase used vehicles to retail to the public. Auctioneers are usually trained in the legal and practical aspects of conducting auctions. Some jurisdictions require auctioneers to be licensed and bonded. In a private auction, the identities of the bidders are hidden, so anyone that buys the item can remain anonymous. This is normally done for either security reasons such as rare gems or art, or to avoid embarrassment if the item is more risqué. Exchange auction: also known as commodity auctions or exchange-commodity auctions, are the most closed to the new participants. The participants include a number of core professional buyers, who monitor each other to ensure that no one is "cheating" on the community. 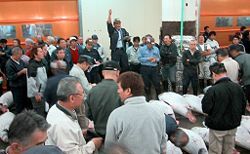 Wholesale auctions of goods to businesses (such as the Tsukiji fish market in Japan) embody this type of auction. In a uniform-price auction, all of the winning bidders pay the price submitted by the highest non-winning bidder. Bidders will not typically bid their true value in a uniform-price auction with multiple units. In a Vickrey auction (or second-price sealed-bid auction), the pricing rule is more complicated, but preserves that bidders will bid their true valuation of the property. It is also possible to auction each identical item individually. Once each item has been priced, the winning bidder is entitled to buy the remaining goods at the same price. Items the winning bidder opts not to purchase are auctioned again. This system creates a tension between the desire to hold back on bidding since later items will almost certainly be cheaper, and the chance that by losing the first round of bidding all possibility of purchasing will be lost. All of the private value auctions listed are revenue equivalent, in that they all result in the same expected revenue for a seller. An English auction is the type of auction commonly used by English auction houses like Sotheby's, Christie's, and Phillips de Pury & Company. Participants bid openly against one another, with each bid being higher than the previous bid. The auction ends when no participant is willing to bid further, or when a predetermined "buy-out" price is reached, at which point the highest bidder pays the price. The seller may set a "reserve" price and if the auction fails to have a bid higher than the reserve, the item remains unsold. A variant popular in the time of Samuel Pepys was "auction by candle" in which the winning (highest) bid was the last one to be made before a small piece of lit candle died out. In a sealed-bid auction (also known as sealed high-bid auction or first-price sealed-bid auction), all bidders simultaneously submit bids so that no bidder knows the bid of any other participant. The highest bidder pays the price they submitted. Vickrey auctions are identical to the sealed first-price auction except the winning bidder pays the second highest bid rather than their own. This is essentially the system used by eBay. An all-pay auction is an auction in which all bidders must pay their bids regardless of whether they win the prize. The highest bidder wins the prize. The all-pay auction is often used to model lobbying (bids are political contributions), or other competitions. Silent auctions are often a variant of an English auction, where bids are written on a sheet of paper, and at the predetermined end of the auction, the highest listed bidder wins the prize. This auction variant is often used in charity events, and many items may be auctioned simultaneously. Participants submit bids normally on paper, near the item. Other variations of this type of auction may include sealed bids. The highest bidder pays the price he or she submitted. Digital art auctions are designed for unreleased works that are trivially reproducible at zero cost (recordings, software, drug formulas), where bidders openly submit their maximum bids (which may be adjusted or withdrawn at any time). The seller may review the bids and close with a price of their choosing at any time—the successful bidders that pay this price are those whose bid meets or exceeds it, and these are the only bidders who receive a copy of the item. An open outcry auction can refer to any auction where the auction is conducted orally for people to hear. This type of auction also refers to what is used in stock exchanges and commodity exchanges, where trading occurs on a trading floor and traders may enter verbal bids and offers simultaneously. Transactions may take place simultaneously at different places in the trading pit or ring. This type of auction is being replaced by electronic trading platforms. In a unique bid auction, users post blind bids and are given a range of prices they can place a bid in, often a capped limit. The highest, or lowest, unique bid wins. For instance an auction is given a maximum bid of 10. If the top five bids are 10, 10, 9, 8, and 8, then 9 would be the winner being the highest unique bid. This is a popular type of online auction. A buy-out auction has a predetermined buy-out price in which the bidder can end the auction by accepting the buy-out price. The buy-out price is set by the seller. The bidder can choose to bid or use the buy-out option. If no bidder chooses to utilize the buy-out option, the auction ends with the highest bidder winning the auction. A combinatorial auction is an auction in which bidders can place bids on combinations of items, or “packages,” rather than just individual items. The absolute auction, also known as an unreserved auction, no-reserve auction, or auction without reserve, is an auction with no minimum bid amount, no set starting bid, no seller confirmation of the high bid price, and no buybacks of the property being offered by the seller or any agents of the seller. A 2003 Virginia statute defined an absolute auction as "an auction where at the time of the auction sale the real or personal property to be sold will pass to the highest bidder regardless of the amount of the highest and last bid." This type of auction is designed to attract the maximum participation from the buying public as the seller has committed to convey their property to the highest bidder without limitation. The auction houses Christie's and Sotheby's continue to be two of the primary locations for world class auctions. These two companies have offices around the world for the sake of bringing timely, convenient services to a global audience. Online auction sites such as eBay have grown increasingly popular with the spread of the internet. 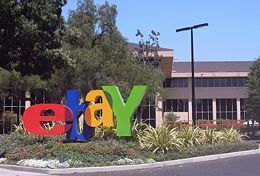 EBay brings users from all over the world together in one common forum, listing and selling millions of items each day. These items range in size and value from cornflakes to houses. ↑ Emily Davidow, "The Dynamics of Pricing," Home Textiles Today (February 2000): 42. ↑ Michael Lorenzen, Marcus Aurelius: The Philosopher–Emperor of Rome. Retrieved February 25, 2007. ↑ Roman Empire. Microsoft Encarta Online Encyclopedia 2007. Retrieved February 25, 2007. ↑ R. W. Patten, Tatworth Candle Auction, Folklore 81, no. 2 (Summer 1970): 132–35. ↑ The Company. eBay. Retrieved March 18, 2007. ↑ Single cornflake sold on internet BBC, December 31, 2004. Retrieved March 18, 2007.